Event description This will be the 2nd ICE-O and the second competition in Icelandic orienteering history. The event is a three days event, including sprint on the first day, long/classic distance second day and middle distance the final day. We are proud to present our local forests which are located all around Reykjavik. The forest can offer you pure Icelandic nature with green and colorful areas in an old lava field. This Area is called Heiðmörk and is it will be used for Saturday and Sunday. The sprint will take place in the center of Reykjavik. This will be the first time this map is taken in use. The competition is one of three events. 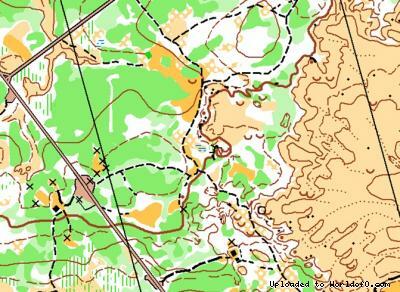 Those together are called NATLOC North-Atlantic Orienteering Championship. The other two events are located in Ilulissat and Nuuk, both in Greenland. To become NATLO champion, you will have to take part in at least to of the three events. Terrain description Reykjavík Downtown: Competition area is located in the very center of Reykjavík, where the streets are crooked and the details are many. Heiðmörk: The area is located by the foot of a big lavafield. Fairly open terrain with dens forest areas in between. Not too hilly the second competition day. The third competition day is located around a big hill mostly covered by forest. The plateaus above and below the hill are open areas with a lot of details. Holiday activities,nature,hiking etc. Iceland can provide a long list of Hiking routes and beautiful nature experience in the highlands and the coastal areas. Not to mention the many glaciers which are located in all parts of the country.